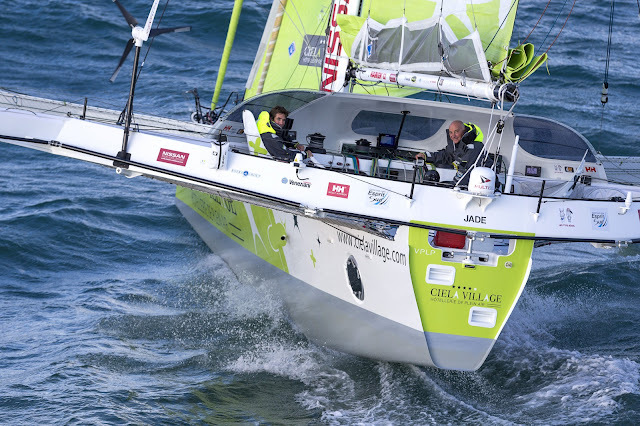 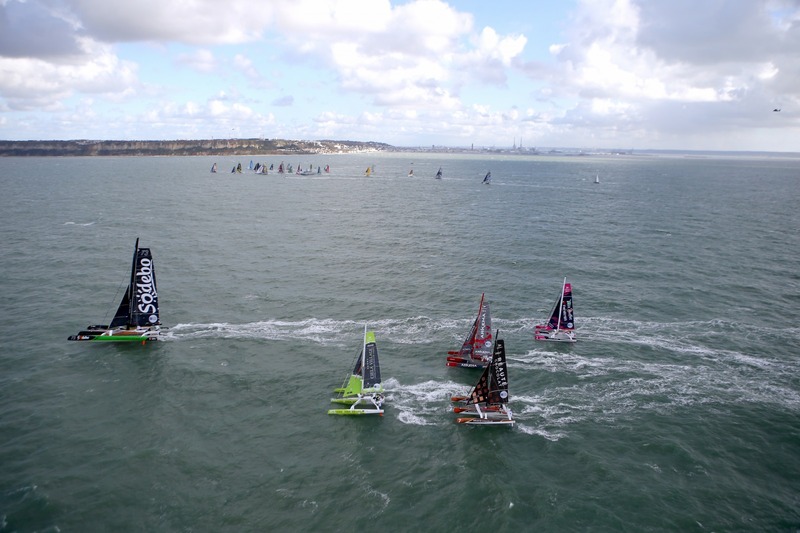 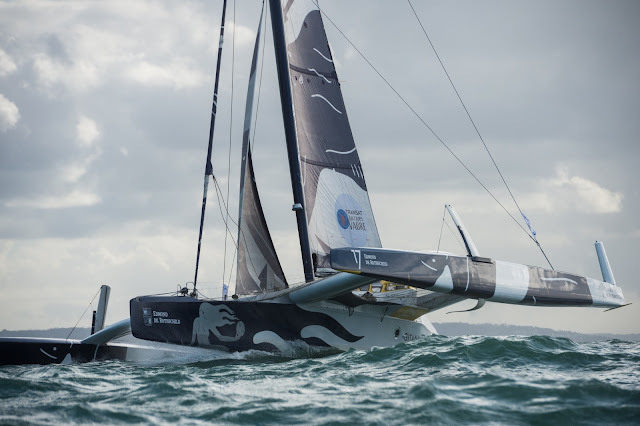 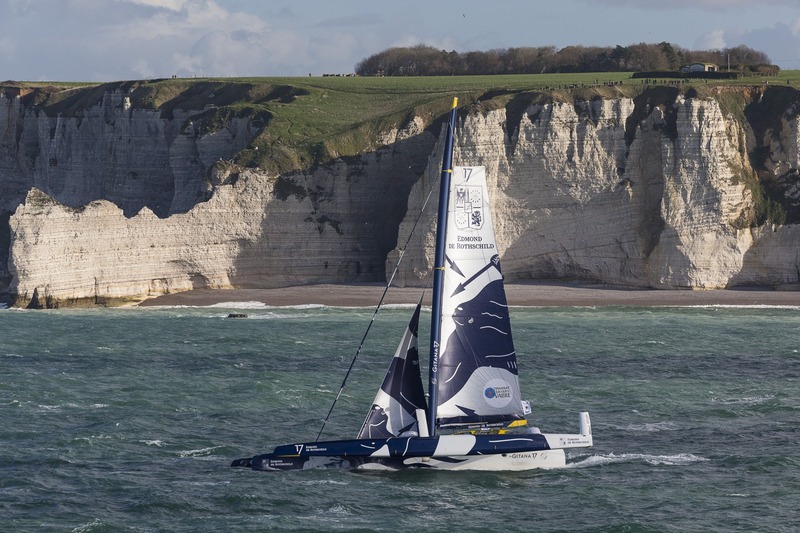 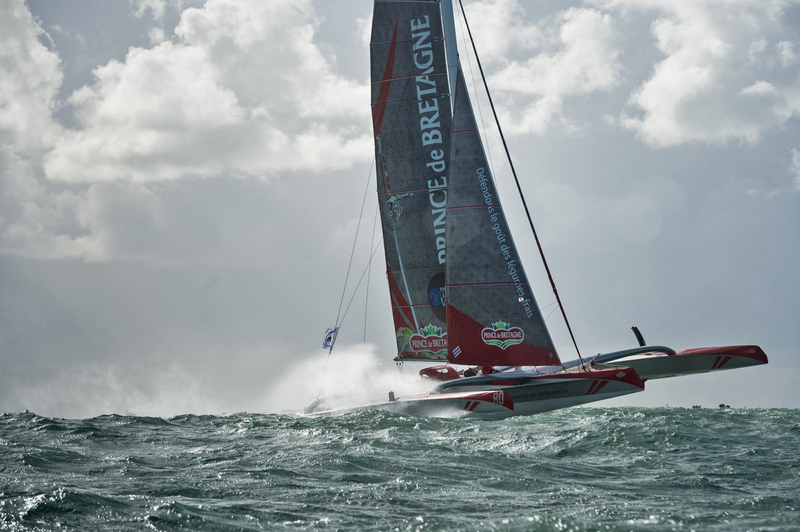 While Francois Gabart embarks himself over a Solo Round de World record attempt, his French mates are heading to Salvador de Bahía within the Transat Jacques Vabre 2017 Altantic crossing, participants include Thomas Coville, who's Solo record is being challenged by Gabart. 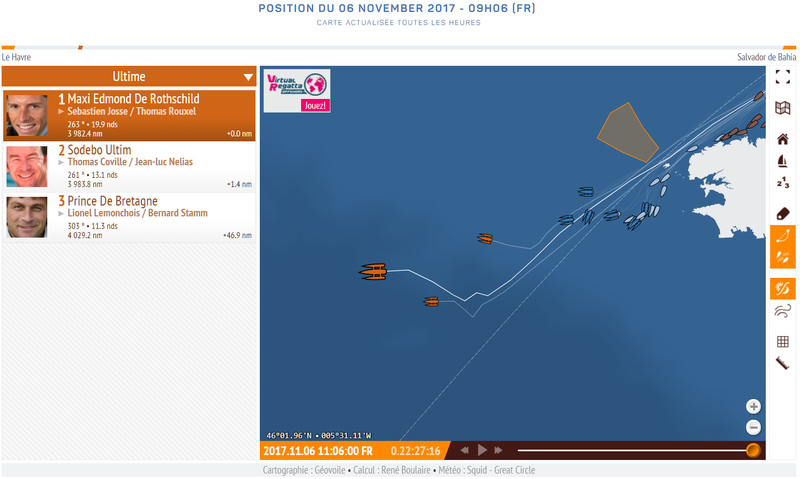 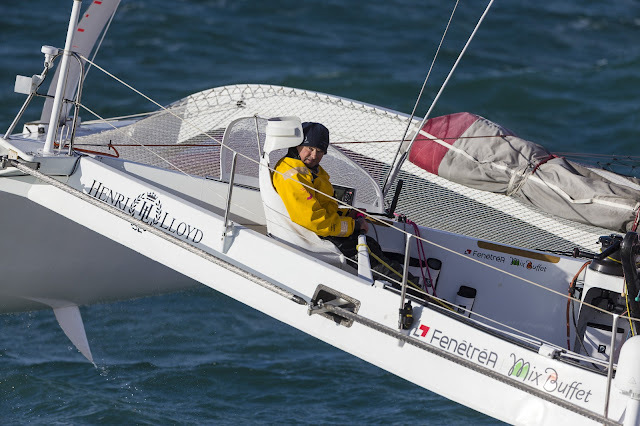 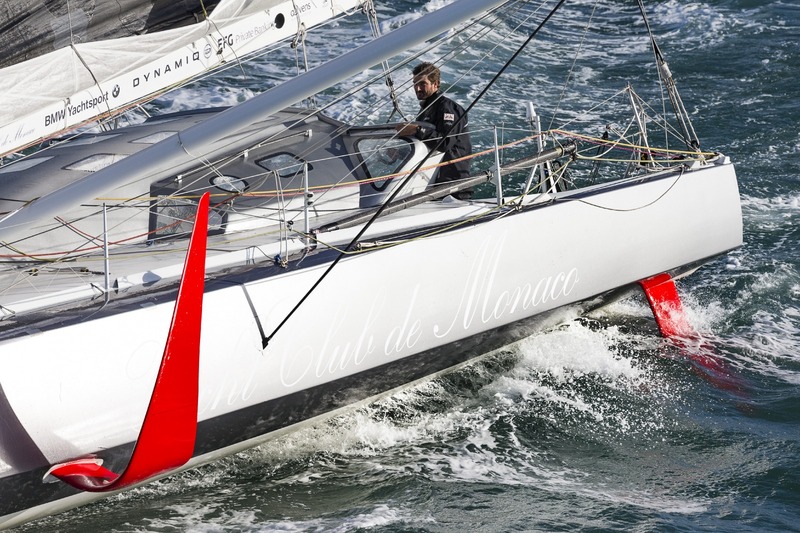 Sebastien Josse & Thomas Rouxel onboard Gitana Edmond de Rostchild Maxi foiling Tri lead 1.4NM after yesterdays start over Thomas Coville & Jean Luc Lenias / Sodebo Ultim and Lionel Lemonchois & Bernard Stamm / Prince de Bretagne. 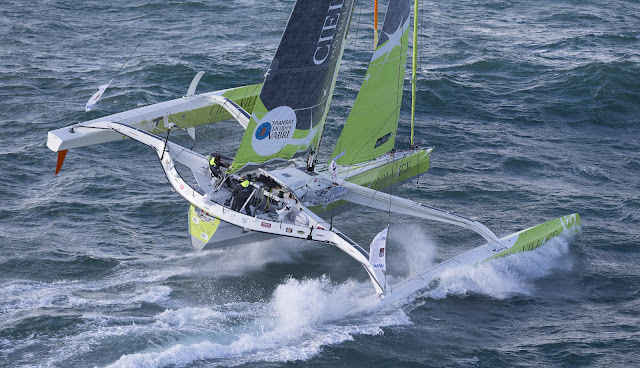 Images & videos of Gitana Foiling Tri featuring a central T daggerboard under Gitana Team tag/label.